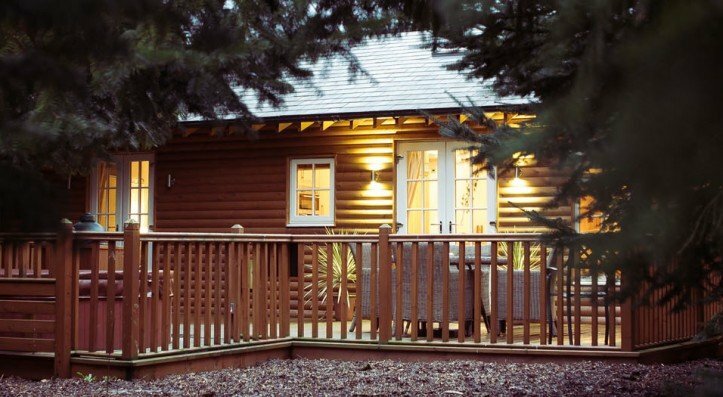 Our reputation as one of the finest providers of log cabin breaks in the UK has as much to do with our location as our five-star facilities and service. The enchanting surroundings of Cheshire, UK are not to be missed – Cheshire is a premiere destination spot for log cabin holidays in the UK. Book your own personal getaway log cabin or luxury lodge with The Hollies today. We have a variety of luxury lodges, along with excellent amenities, all for you and your family to enjoy. One of the primary aspects of spending a holiday in a log cabin or a luxury lodge in the forest is being able to cherish a tranquil and lavish break in beautiful surroundings. 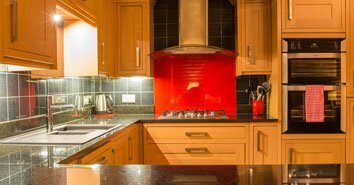 We provide exclusive log cabins that can be conveniently adapted according to your preferences and are considerably more cost effective in comparison to a hotel stay. Additionally, our log cabin breaks are much more homely and personal. Log cabin and forest holidays are a growing trend here in the UK. You can easily embrace the beautiful countryside, from the eye-catching forest surroundings of Cheshire to the exceptional shopping experiences based in the vicinity of our lodges and log cabins. All too often, the thought of a restful, peaceful and pleasurable holiday is interrupted by the pressures, demands and stresses of everyday life. 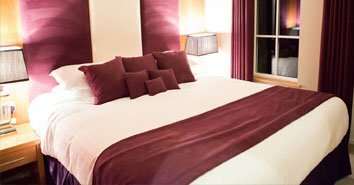 At The Hollies you can find the perfect balance of lavish relaxation, valuable family time and heartfelt romance. A short, self catering log cabin holiday in a serene and remote forest environment is all you need to get back to what’s really important in life – bonding with those we love the most! A wooden forest log cabin located within a leisurely rural setting in Cheshire, UK makes for a picture perfect romantic getaway, or for a unique and personal family vacation. In either case, it is your ticket to an unwinding and relaxing escape. For the duration of your log cabin break, you will be able to loosen up, kick back and spend valuable time with those that matter the most. You can take a break from your mobile phone or computer. You need not turn on the TV or stereo. Shed the stress and experience a gentler pace of life, all from your very own luxury holiday lodge in the heart of Cheshire. Whilst searching for log cabin breaks and holidays at The Hollies, we recommend that you take a look at our on-site amenities prior to making a booking. Our standards of luxury accommodation never change, but the location, accessibility and proximity to civilisation can. Just a short stroll from our log cabins you can find our famous coffee shop which serves up a selection of hot and cold beverages, snacks, light lunches and farm fresh dinners. If you prefer to prepare your own meals during your stay, our farm shops and delicatessen will provide you with everything you need – all produced locally and selected by us for freshness and flavour. Log cabins make for an exquisite romantic couple’s getaway. Envision your own private luxury lodge, positioned deep in the heart of rural Cheshire countryside. You’ll never be too far from towns and villages for food supplies and restaurants. However if it’s peace-and-quiet you prefer then you can always choose to reside at your log cabin throughout your holiday, escaping the bustle and enjoying your own little corner of serenity. Each one of our luxury log cabins has been awarded 4 or 5 stars and comes equipped with everything you’ll need for a truly stress-free and pleasurable stay. Relaxing in your hot tub whilst savouring a refreshing beverage – what more could you ask for? 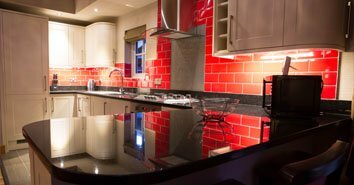 All of our intimate luxury lodges UK have been thoughtfully constructed with significant open living spaces, trendy bathrooms and magnificently fitted kitchens. Whatever you decide to do throughout the day, you will always look forward to returning to the comforts of your very own log cabin. 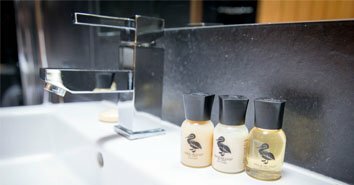 Furthermore, we can provide you with extras such as champagne, chocolates, and fluffy bathrobes to add that touch of luxury to your stay. Your kitchen is equipped with everything you’ll need to put together a romantic dinner for two. During your stay, you will have use of a private hot tub, whatever time of year you visit. In the winter season, imagine yourselves sitting cosily by the log fire. During the summer time, picture yourselves relaxing on the decking area with an open pit BBQ! Looking for the best forest holidays in the UK for partners and families? The Hollies is your 5-star escape for an unforgettable time together. With 4 distinctly designed luxury lodges located in a forest environment, you’ll find no better place to be! 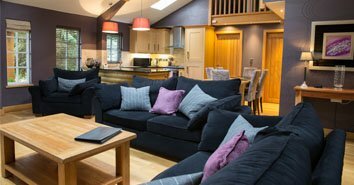 To find out more about our log cabin breaks and luxury lodges send us an enquiry by email or call us on 01829 760 761.